If you’re on a mission to detox your body and get on the natural soap bandwagon, then you’re in for a treat. There are many soap making supplies on the market that allow you to easily make your own soap at home. You no longer have to wonder what’s in that bar soap you purchase over the counter at your local store when you opt to purchase your own soap making supplies from an online wholesaler. Making your own soap at home requires a few soap making supplies. There are many additional items you can purchase to start your DIY soap making at home project, but we’ve come up with a list of the most important supplies to purchase. Everything from colorants to packaging and essential oils to add a bit of fragrance to your homemade soap are on this list. This helps to moisturize your skin without clogging pores and is relatively inexpensive to use as a homemade soap ingredient. This is a natural antibacterial product that helps keep your skin healthy and is a great mix to add into your DIY soap making at home supplies. Many soaps use castile and you can purchase this soap making supply from body elements to make sure that you have a good base for your natural homemade soap. There are many essential oils you can purchase when getting soap making supplies ready. Use essential oils that help you with relaxation such as lavender to get the most out of your bathing experience. These beads will work well when mixed 4 parts aroma beads with 1 part fragrance such as your favorite essential oil, to hold fragrance longer in your DIY soap. This is a must-have when making your own soap at home to ensure that you can make neat shapes for your natural bar soap. You’ll need to pick up some tool such as a scale, spatula and measuring cup so that you can accurately mix your ingredients in your DIY soap. There are many options for packing your DIY soap at home, you can purchase soap boxes, bags or even place your soap in a little basket in the bathroom. 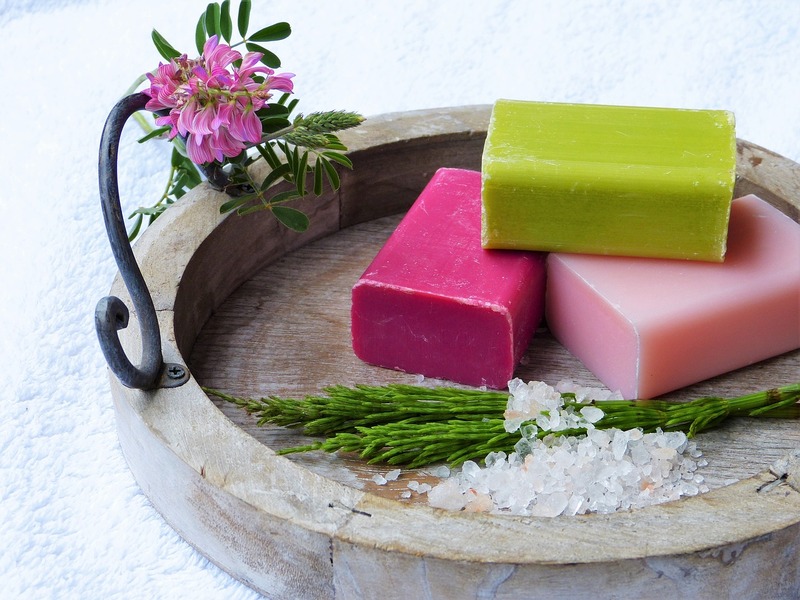 If you want to add a little color to your DIY soap making at home venture, you can use various natural colorants such as mineral pigments, micas, or titanium dioxide whitener. Making your own soap at home is one of the most cost-effective ways to save money while detoxing your body from those harsh chemicals you’ve used all of your life. Today’s bar soap options are endless, but most of the ingredients are unnecessary and that’s why opting to use these tips for DIY soap making at home is so important. You will rest easier knowing that what you’re putting on your body during bath and shower time is more natural for your skin.